Mark your calendar and get ready to enjoy a FREE Small Root Beer Float at A&W Restaurants! This offer will be valid on Monday, August 6th from 2-8pm. No purchase is necessary but a donation to Disabled American Veterans is encouraged. You can check with your local restaurant to verify participation. 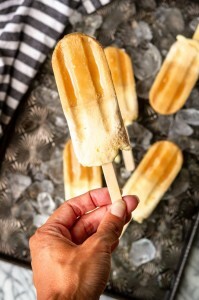 If you just can’t wait that long, try making these easy Root Beer Float Popsicles!